While top US diplomats have privately backed a weapons ban amid the bloody civil war in South Sudan, a new report indicated that US National Security Advisor Susan Rice is chiefly responsible for stalled attempts at an arms embargo in the oil-rich nation. In a story titled ‘Mediating Mass Murder,’ news magazine Foreign Policy reported Monday that Rice, US President Barack Obama’s top national security policy advisor, has resisted support from US Secretary of State John Kerry and US ambassador to the United Nations Samantha Power for an arms embargo to buttress possible economic sanctions and other punitive measures that would encourage an end to the 13-month conflict that has killed tens of thousands and displaced millions. One United Nations Security Council diplomat told Foreign Policy that an arms embargo is being blocked by the White House National Security Council (NSC). Last month, Kerry and Rice wrote in the Washington Post that a peace deal must come soon, yet the pair offered little in the way of specific actions the US was considering. “After months of delay and false pledges, both sides must return to negotiations, make necessary compromises and finally end this conflict without further delay,” they wrote. In South Sudan, fighting between the warring sides, led by President Salva Kiir and his former Vice President Riek Machar, has left at least 50,000 people dead and displaced millions more. The fledgling nation, created in 2011, has shown no signs of reconciliation as ethnic, religious, and economic power struggles remain intact. U.S., #UK, & #Norway are gravely concerned with continued lack of progress in #SouthSudan peace negotiations. More: http://t.co/cBVgCJSQRA. The United States, which encouraged South Sudan's split from neighboring Sudan, has sent billions to the South Sudanese government and is said to be in the best position to push for UN Security Council sanctions. Yet sanctioning efforts have not materialized despite repeated threats from several top US officials since December 2013, when the conflict officially began. Earlier this month, the US sent a draft resolution to the UN Security Council’s other national representatives – Britain, China, France, and Russia – that indicated an asset freeze and travel ban on top government and rebel leaders blamed for the ongoing violence and for slowing attempts at a peace deal, US officials told Foreign Policy. The resolution introduced the “prospect” of an arms embargo in the future, according to a senior Obama administration official. Yet the draft does not offer any solid reference of an arms ban, two diplomatic sources said, and any embargo in a subsequent resolution would not happen until March or April, a security council diplomat added, which marks the end of South Sudan’s traditional fighting season. It’s unclear if either Russia or China would support any embargo efforts, though those nations have indicated, according to Foreign Policy, that they would prefer that African nations decide on any sanctions against the two sides. An arms ban would “help to halt the supply of weapons to individuals and groups who have committed serious violations of human rights, war crimes and crimes against humanity, and protect civilians at grave risk,” a group of human rights organizations wrote earlier this month in an open letter to President Obama. Complicating matters, Princeton Lyman, the special US envoy for Sudan and South Sudan from 2011-2013, told US News in December that Susan Rice is "sympathetic" and "very, very close" to the South Sudan government. Those sentiments were disputed by a senior administration official. 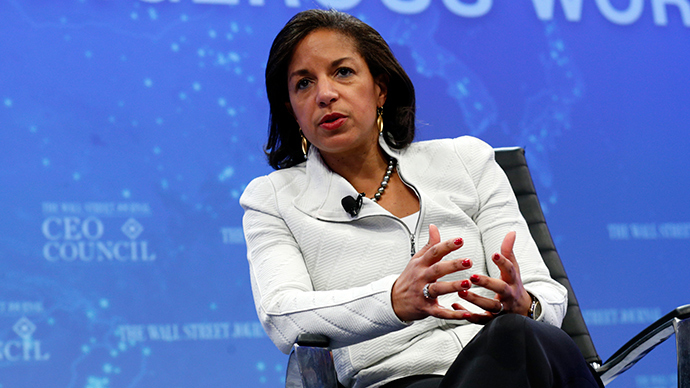 Rice has also been criticized for her ties to Salva Kiir, the president of South Sudan. Kiir helped found the Sudan People's Liberation Army (SPLA), which fought in Sudan’s decades-long civil wars, and was instrumental in fomenting an eventual split from Sudan. Rice developed ties to the SPLA as a national security official in the Bill Clinton administration of the 1990s. While out of public service, she kept up those ties while the George W. Bush administration also became a close ally of Kiir and the creation of South Sudan. Rice was the NSC’s director for international organizations and peacekeeping from 1993-1995 and as special assistant to the president and senior director for African affairs from 1995-1997, meaning she played a major role in how the Clinton administration addressed genocide in Rwanda. She is known for advocating against the White House labeling the events in Rwanda as genocide and to not militarily intervene, moves she came to regret. "I swore to myself that if I ever faced such a crisis again, I would come down on the side of dramatic action, going down in flames if that was required,” she said. She was also known to be a close ally of ruthless former Ethiopian dictator Meles Zenawi, whom she eulogized at his funeral in 2012. “We’re working now, in support of [the Intergovernmental Authority on Development], talking about a sanctions resolution in the U.N. that would mirror what we have done bilaterally already,” said Donald Booth, the current US special envoy to Sudan and South Sudan. US officials have publicly put impetus on African-led actions to encourage peace. The elephant in the room, though, has become South Sudan’s deep, untapped oil reserves. Before the conflict began, South Sudan produced about 220,000 to 240,000 barrels of oil per day, with around two-thirds going to China, the Washington Post reported one year ago. China has invested billions in developing oil in South Sudan, yet fighting has curbed operations and forced evacuations of many Chinese oil workers, echoing the nation’s oil efforts in Libya. China’s oil-producing operations there have not rebounded from the overthrow of Muammar Gaddafi’s government led by Western powers. “The opposition hopes that by capturing the oil fields, they’ll gain the upper hand in cease-fire negotiations by halting the government’s main source of income,” Luke Patey, a senior researcher at the Danish Institute for International Studies, told the Post. “Oil is the prize at the conflict’s end,” Patey added. American oil companies have found it difficult to compete amid the conflict and while other nations like China have dominated the petroleum landscape. For instance, in April, Exxon Mobil Corp, the largest American oil company, pulled out of oil exploration in South Sudan. “With Exxon pulling out, South Sudan’s economic lifeline will continue to be non-Western oil companies, leaving western diplomats with little economic leverage with the country in faltering peace talks,” Casie Copeland, a South Sudan analyst with the International Crisis Group, told Bloomberg. The aims of America’s actions, including a wait-and-see attitude about the ongoing slaughter, are fairly explicit, other have argued. Writing in Counterpunch, Thomas C. Mountain called South Sudan “the only majority Chinese owned oil field in Africa,” and, thus, the US has clear reasons for exacerbating chaos through proxies in the region or by any other means necessary. Ethiopia, in particular, has supplied weapons to Riek Machar’s fighters with an eye on the nation’s oil supply, Mountain wrote. “If one does just a little research into these holocausts one begins to see who really benefits and when it comes to the civil war in South Sudan the only party presently benefiting from these crimes is the USA,” he added.